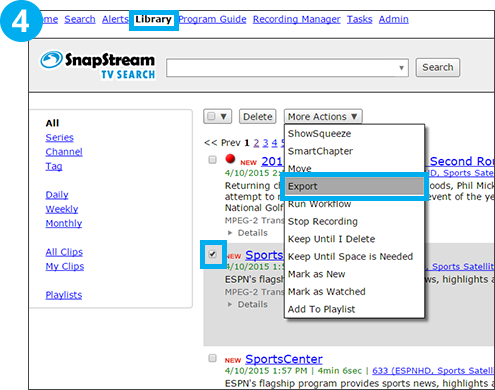 TV recordings can be exported out of SnapStream to a local folder on your computer, to networked-attached storage (NAS) or to cloud storage using Amazon S3. 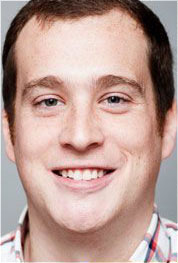 Once content is exported to an external location, it is no longer stored or available in Snapstream. The content can always be re-imported. 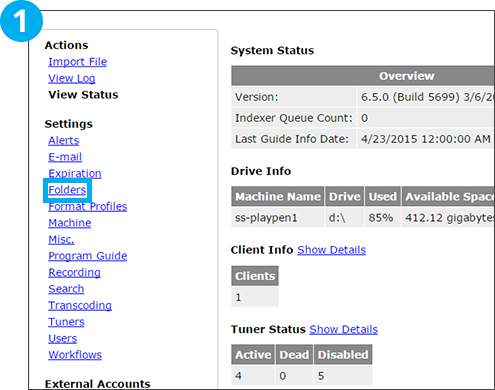 Choose “Folders” under Settings on the Admin page to go to the Folder Settings page. 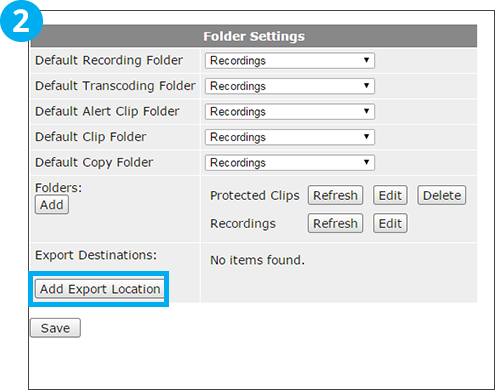 Click “Add Export Location” to select a location for files to be exported. 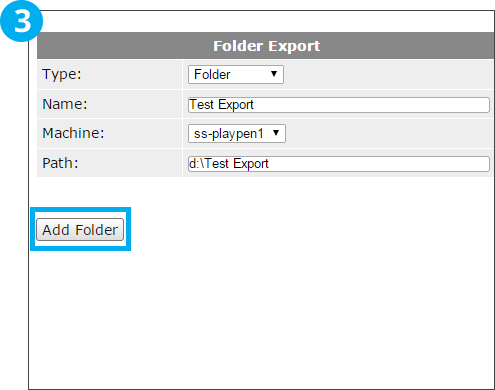 In this example, we will create a local export folder. Give your folder a name and select the folder’s path. If the folder does not exist, SnapStream will create the folder. Select “Add Folder”. Once the folder has been created you can export files from the Library. Click on the check-box next to the item(s) you would like to export. Click “More Actions” and then “Export” to bring up the Export Items page. Choose the previously created Target Folder from the pick list. Click the “Copy Auxillary Files” check-box to also export the SRT file containing closed-captioning information for your file. Clicking the “Create Metadata XML” check-box will export an XML file containing library information (Title, description, channel, etc) along with the video. 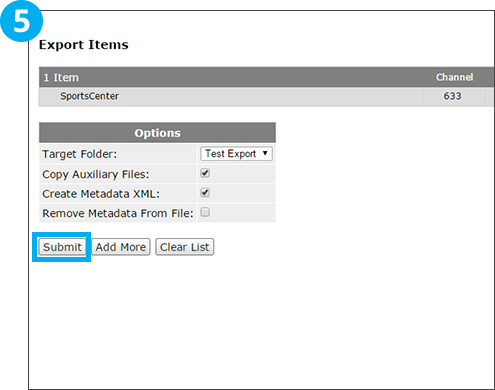 Select the “Remove Metadata from File” check-box to remove all Metadata from the exported file.